With over 50 years of experience and knowledge, we excel in creating customized call center solutions for businesses of all sizes and types. We have served the needs of thousands of satisfied clients, from the oil field industry to service-based industries, such as tow truck companies and HVAC companies. Our call center operates 24 hours a day, 365 days a year, and employs telephone operators with an average of five years' experience. All of our operators are proficient in English, but we also have operators that speak Spanish. We also have access to a translation line 24 hours a day. The call center itself is equipped with the latest technology on the market. Our CMC technology makes it possible for us to program in all the information our clients need us to have during a call; easily hold or transfer calls; take orders; conduct surveys; forward messages instantly via text, email, or fax; and more. 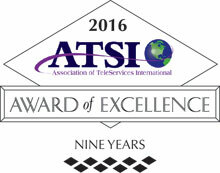 Trust the team at BTE Communications to take care of all your telephone answering service needs in Eugene, Oregon. 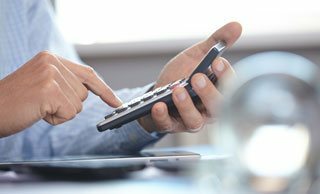 We'll provide you with a custom solution and an affordable rate. Call today. We look forward to hearing from you. Since 1958, our alarm monitoring services have been trusted by many high-risk companies, the majority of whom are in the oil drilling industry. Our state-of-the-art call center is able to monitor their alarms remotely without requiring any additional equipment. Once we are set up, any time that an alarm is triggered, a call goes to our call center where we can then immediately proceed with following the callout protocol detailed in the emergency response plan. Call us today for a free alarm monitoring quote for your business in Eugene, Oregon. BTE Communications provides cost-effective emergency response coordination services. Our operators are trained to answer calls, interpret alarm codes, and place calls according to the predetermined emergency plan. For low-priority or unsubstantiated emergencies, we can call the managers on duty. For major emergencies, such as fires, oil leaks, gas leaks, explosions, etc., we can call local fire departments and EMTs and give them all the information they need to respond promptly. If you are interested in learning more about our emergency response coordination services for Eugene, Oregon, businesses, call us today. The phone operators at BTE Communications are available to help you answer all your calls in a timely manner. With our dispatching service, they also ensure that staff out in the field have the information they need to proceed to their next jobs. We provide dispatching via cell phone, tablet, and two-way radio, and can also help take order and payment information. Call today for a free quote on our dispatch service for businesses in Eugene. BTE can help your business in Eugene screen callers based upon the information they provide. This can help you manage large numbers of interested tenants, job applicants, survey participants, and more. When your calls come in, our highly trained agents will use your company's name, ask your predetermined screening questions, and record or assess the client's answers. For some clients, we automatically forward calls from eligible callers, while for others, we enter their answers into a database and let them determine who meets their criteria and how to proceed. Call BTE today to learn more. Partner with BTE Communications to have an experienced call center handle all your inbound sales calls and accurately take callers' orders and payment information. Our customer service agents will be courteous, information, and professional. They'll follow your call script and enter in all orders in the data management system of your choice. Orders can be sent automatically or in batches, while calls can be taken any time of day or night. At BTE Communications, we offer companies in Eugene, Oregon, high-quality inbound telemarketing services at highly affordable rates. 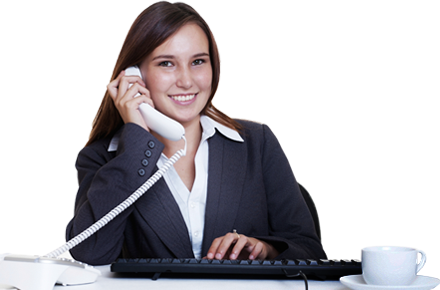 Our team of fully prepared, professional telephone agents will act as your own virtual inbound telemarketers, helping you answer calls, record customer information, take orders and payment information, provide general customer service, and more. Because we are available 24 hours a day and capable of handling the quick increases in call volume that can result when you promote your services or products on television, in magazines, or online, we can help capture your leads and orders as well as provide better customer service. Call today for a free estimate. BTE's high-quality scheduling service is like having all the benefits of a full-time receptionist but for a fraction of the cost. When a call comes in, a BTE representative will answer using your business's name, follow your call script, and enter in appointments directly into your shared calendar or reservations into your designated database. We can also prepare our telephone agents to screen callers, set up dedicated toll-free or local phone numbers, and answer calls around the call or during specific hours. Call today to learn more about having BTE handle scheduling and reservations for your business in Eugene. With BTE's comprehensive voicemail services, you'll be able to manage your voice mail messages in the best way possible for your Eugene business. 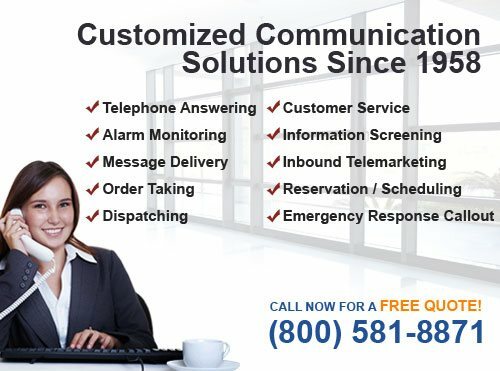 Our voice mail services include voice mail notification via text, pager, table, or email; voice mail boxes with personalized greetings, secure access codes, and 24/7 remote access; voicemail trees with custom hold prompts; call forwarding or re-routing features; voice mail message transcription; and more. Call today to learn more about our completely customizable voicemail service for Eugene, Oregon. BTE Communications is the best choice when you need to outsource your over-the-phone customer service department in Eugene. When your customers call, they'll be greeted by a phone agent who will present themselves as a representative of your business. Our agent will then take care of all their questions and concerns in a professional and courteous manner and in accordance with your script and instructions. With our 24/7 availability, 365 days a year, your customers will have no trouble getting the help they need when they need it. BTE Communications' success over the last 50 years is primarily due to specializing on the unique needs of oil drilling companies. We understand their need for a 24/7 call center that provides comprehensive alarm monitoring, emergency response coordination, reliable dispatching, and exceptional customer service. We are equipped with the latest CMC technology and staffed with carefully screened and heavily trained phone operators. With thousands of satisfied clients and a stellar reputation, we can be relied upon to handle all your calls promptly, professionally, and in accordance with your specified instructions. Call today to learn more. With over 50 years of experience, we have established ourselves as a trusted answering service company among many healthcare providers. Our call center is HIPAA compliant and all BTE representatives sign agreements to not disclose any information they learn while on the job. 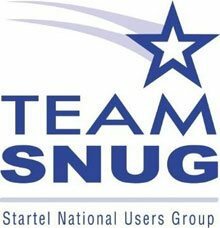 Call today to speak with one of account managers about customizing a solution for your telephone answering service needs in Eugene.